Secures anything, that fits in the arch, better to cones then sticks or duct tape. 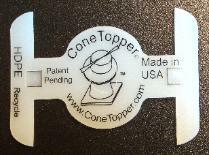 Eliminates the need for finding sticks or duct tape to hold the ribbon to a cone. Defines the hazard zone better, being able to make custom layouts in moments. Reduces frustration of finding a place to attach a ribbon to (a fence or bush). Reduces the waist produced at a given job site by reusing the ribbon. Reduces costs by saving time in set-up and ribbon costs. Traffic safety equipment for sale. Prices can vary. Super saver pricing. free shipping. Caution tape at low, low prices. Orange traffic cones have the best results. prices. Many to choose from. Traffic safety cone bulk discount. Duct tape high volume discount. 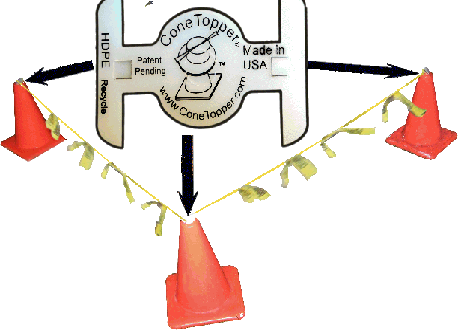 strung between cones, without loosing the Convenience of cones. 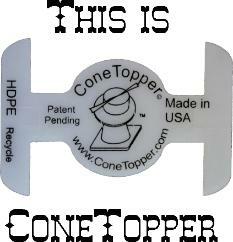 top of a traffic safety cone to form an arch.